Just wanted to let you know that I’ve added two guides to the Video Guides page. These two videos are the first two videos for Time Tangled Island. 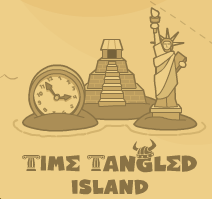 I still need to make a few more videos (at least) to complete Time Tangled Island, but these are good for starters. So, click HERE to see the videos. You can also go to the Video Guides page to see even more cool video/slideshow guides!